It details his research on the history and stories behind 'Mount Emily Swimming Pool', and acts as a prelude to our next GHOSTClubSG expedition! 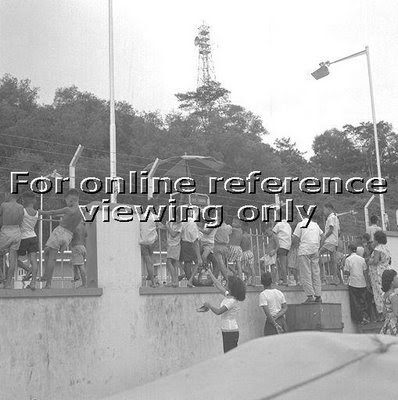 One of the swimming pools that people probably cannot recall much is the "Mount Emily Swimming Pool". Some said it is completely gone, yet others argued that it have been replaced by a park. While doing my online research I came across people relating their childhood memories of climbing up the Mount Emily road to reach it. Eventually the road is no longer on the map, while some say's Mount Emily road is still around. Is the swimming pool that I saw the one that is been known as "Mt Emily swimming pool" or perhaps it's another abandon swimming pool? Where could the exact location of the swimming pool be? 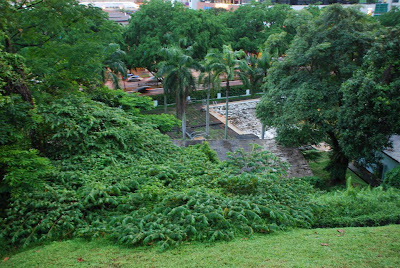 What struck me about this Emily swimming pool is that, I had happened to bypass Fort Canning Park and eventually I found an abandon swimming pool, and so I did a research and came across this name Mount Emily swimming pool, where the exact location could be the one that I had seen from Fort Canning. During the Japanese Occupation the swimming pool was occupied by the Japanese from the year 1942 - 1945 and what could the Japanese be doing. It was reported that the Japanese change the pool into seawater. Could the Japanese use this as their training ground for their soldiers to adapt to the sea condition or could they use the swimming pool for some other purpose for example torturing of their prisoners. Furthermore misadventures happen in the pools, occasional reports of drowning or other death incidents. Besides drowning, a common accident was that of bathers jumping off the diving platform and hitting their heads against the pool's concrete floor. 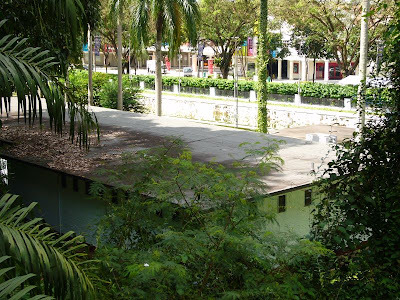 But of course, there were still fond memories of the pool, also known to some as "River Valley Swimming Pool", as written by Mr Walter Lim in his blog (www.coolinsights.blogspot.com). But thinking back, it is rumored that names that had "Emily" is a bad sign that will lead us to death or mishap. It is parallel to the infamous case of Emily Rose, the girl who was possessed by 6 demons and who died after the whole exorcism process. Is the name Emily really cursed or perhaps it's just a coincidence? We will attempt to investigate this place during our next expedition! Stay tuned!